NEW YORK–(BUSINESS WIRE)–Diligent Corporation, the leader in enterprise governance management and the most trusted provider of secure board collaboration solutions, today announced the beta launch of Diligent Insights, a curated content feed of news and thought leadership resources developed exclusively for board directors. Serving more than 14,000 organizations and 450,000 users worldwide, Diligent continues to innovate and expand board governance tools and is excited to bring on more than 2,000 influential early adopter directors in the first wave of users on the Insights module — and is generating rave reviews. Cyber risk oversight, shareholder activism and digital transformation — these are just some of the many pressing challenges confronting today’s board directors. To expand awareness and to spread knowledge of these issues in the boardroom, Diligent Insights delivers impactful articles and video content within the Diligent platform directly to board members. Fueled by Diligent’s exciting recent acquisition of Boardroom Resources — the premier educational resource for board members — Insights provides reliable resources and third-party content contributed by trusted organizations such as the NACD, PwC’s Governance Insights Center and Spencer Stuart. The Diligent Insights module empowers boards and governance professionals to lead with more confidence and to fulﬁll their board responsibilities with greater effectiveness. Insights users have the ability to customize their content feed by selecting the topics most relevant to their board, committees or areas of interest in order to both understand best practices and stay on top of timely issues related to their individual roles. Diligent thrives on empowering board members and enhancing their impact at each and every meeting — because in a world where business evolves with each passing second, Diligent knows that keeping board directors up to pace with the most relevant information has never been more crucial to staying ahead of the curve. “Today, we’re constantly bombarded with information, but determining the best sources of content most relevant to you can be challenging,” says Diligent CEO Brian Stafford. Boards of directors can expect other exciting updates in the months ahead as Diligent continues to enhance its content offerings for boards. 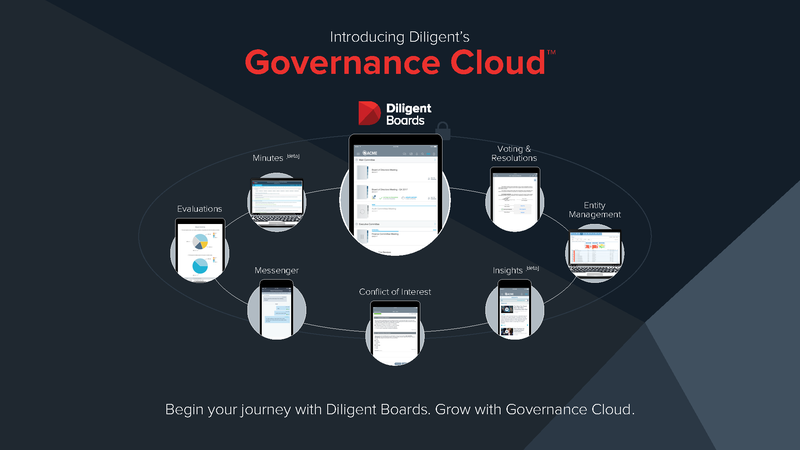 For more information on Insights and Diligent’s Governance Cloud, the only holistic enterprise governance management solution on the market, visit https://diligent.com and https://diligent.com/governance-cloud.